We have another two wonderful ladies with us today, sharing five books that have impacted their lives - Australian Christian contemporary author Paula Vince, and American Christian historical fiction author and blogger, Carrie Fancett Pagels. Five Books which have impacted my life. 1) The Bible, because it is a living book whose promises I've found reliable and often surprising. 2) Wuthering Heights by Emily Bronte. From the time I was a teenager I've admired this book as a prototype in plot, characterization, settings and suspense. 3) To Kill a Mockingbird by Harper Lee. This is another book from my teen years which influenced me to want to be a writer. I love the way the author used the voice of a young girl to examine a very serious topic and also managed to keep the book lighthearted at times. 4) How to Stop Worrying and Start Living by Dale Carnegie. I preferred this to his more famous, "How to Win Friends and Influence People." It's a simple but profound read guaranteed to uplift your faith in God and yourself, full of sound advice and true stories. 5) The "Little House" series by Laura Ingalls Wilder. This is a series rather than an individual book, but I thought I'd group them all as one. I love the beauty of timelessness of her prose. I love it that she wrote about her experiences to benefit the world. She helped inspire me with a revelation of the happiness a writer can bring readers. Paula is the author of four adult contemporary romance / drama novels as well as the Quenarden series, a young adult fantasy adventure trilogy. Her most recent novel, Best Forgotten, was awarded the 2011 Caleb Prize for faith inspired fiction. You can connect with her at her blog, It Just Occurred To Me. She also contributes at Christian Writers Downunder and International Christian Fiction Writers. I moved to South Carolina when I was seventeen and graduated high school there. The people seemed to be reliving the Civil War. I didn’t understand how the people who lost in this terrible war had such a totally different perspective on things than I did growing up in the far north. This fictionalized account was the best popular fiction I had ever read. My high school English teacher could not believe I had read the entire book, when I turned in the book report. I had to do an oral report with her up front. It was a medium, not advanced, level class and the other students read books a fraction of the size. It seemed sad to me that probably most of them would never in their lifetime read this masterpiece of Southern literature. Anne of Green Gables by Lucy MaudeMontgomery, 1908. After reading this book, I wanted to become a writer. I even wrote in the back of my book so I could marry Anne to Gilbert and I gave them three children! I did not know, until I was an adult, that she had an entire series. I read them all and loved them. Growing up in the frozen northland, but living in a gorgeous part of the upper peninsula of Michigan, I felt that L.M. Montgomery understood what it was to live there. And she “got” how children felt. This story of how instead of a boy a girl is sent to help on a farm touched on issues of gender preferences and the impact on children. It also showed how what we think we want isn’t always what we need. I read this as an adult, wondering why so many Americans, including my husband, were so crazy about Louis L’Amour. I ended the read going “wow” and listened to many other of his stories. This one, though, which includes the original Sackett characters in England, was amazing and had a different tone to it than his later books. It is really a book about immigrants and the stories they carry with them – something that resonates deeply with me in my writing. After listening to Sackett’s Land, I felt I’d found someone (a man!) who had a similar author’s voice as mine. That felt a little weird, but I have come to think it is all okay! Brock and Bodie Thoene’s Warsaw Requiem, which I read in the first edition which I believe was Bethany in 1991. The attention to detail in the book was phenomenal. The couple combined both an amazing historical story and strong romance with strong voice. Unparalleled commitment within the Christian fiction community, until recently with Liz Curtis Higgs, to digging up the facts and including them seamlessly within the story. The Frontiersman’s Daughter by LauraFrantz, Revell. This was a book of the heart. The author has a haunting poetic voice. Characterization is amazing, storyline wonderful, and historic details rich with a beautiful romance, too. I had been working on my own colonial American story set in Kentucky and Virginia when I first “met” Laura when looking for comparable works to my own. We are celebrating our one year blogiversary on Colonial Quills this week. Laura has been an encouragement in my own writing and helped found the group that hosts this blog. Carrie Fancett Pagels, is Owner/Administrator of Overcoming Through Time - With God's Help. Carrie writes "romantic" historical fiction, often with colonial and frontier Americans overcoming their limitations, with God's help. She is represented by Joyce Hart, CEO of Hartline Literary Agency. 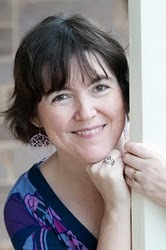 Carrie is the Zone Director for the MidAtlantic Region of American Christian Fiction Writers. She is the founder of the Colonial American Fiction Writers Yahoo Group and owner and administrator of the Colonial Quills group blog. Carrie is a columnist for the My book Therapy E-zine. Thank you so much, Paula & Carrie, for taking the time to be with us today, and sharing these wonderful books that have impacted your lives. Friends, please come back on Thursday as we're giving away one of Paula's books! Wonderful to meet Paula here and also see Carrie's top picks:) Bless you for the TFD mention - that blesses me more than you know. I'm thrilled we can come together on Helen and Jess's wonderful blog!! Our passion for good books binds us together in a special way and I'm so thankful. God bless you all!! Thanks so much Jess and Helen for asking me to contribute to this post. It was fun writing this up! Good to see Laura over here and glad you got to stop by CQ earlier to leave a comment. Nice to meet you, Paula! Oh, Helen, I spoke a blessing over you, on your comment, at CQ so come back and check it out! Sweet dreams over there!!! Hi Paula and Carrie! Wuthering Heights -- great book but I read it so long ago, I've forgotten most of the story. Maybe its time for a re-read. :-) Carrie, its seems we are kindred spirits -- I also loved Anne of Green Gables, and The Zion Covenant/Chronciles by the Thoenes awakened my love for Historical Fiction. The Frontiersman's Daughter was fantastic -- I love Laura's books! We have got to talk! LOL! Yes, sounds like we have lots in common. We love seeing you on CQ, too! Hugs! Carrie - thank you so much, I'll pop over and see your comment! Gwen - Although we've only just started this series, it seems some books/authors are popular choices :) And yes, I loved The Frontiersman's Daughter too! Ohmigoodnessgracious me and HELEN, you are a WINNER over at http://colonialquills.com on the anniversary post! Random.org picked you. Really! Well, God is ultimately in control, though! Hugs! Unbelievable! But that's so great, I've been wanting to read MaryLu Tyndall's books, I'm looking forward to getting it when it's released. I should mention that Paula is in the middle of moving houses at the moment, and is without internet for a few days. I'm sure she'll drop in and say hi once she's back online! STRESS - so lets pray for a peaceful move! I'm going to buck the trend on something here and say I did not like Wuthering Heights. I had to read it in English Class when I was 16 and I couldn't stand it! But it's a classic because so many others love it. One thing I will say, even though I didn't like it, it has remained firmly in my memory! Love love love Gilbert, lol! I think Carter in my current MS is a little like him! Wuthering Heights was depressing and weird lol! I'm glad I'm not the only one Carrie who found Wuthering Heights depressing! I'll admit to not liking the actor who played Gilbert in the Kevin Sullivan production back in the 1980s. So when I read the book, all I see is him! It kind of taints the character for me. But I still love Anne and Gilbert! Actually forgot to add that that is the beauty of books...one book means something different to each person! Exactly. A friend of mine was sharing how my current MS, that she is reading as a Beta reader, is a page turner but another book that she read recently was a more gentle and slower story but also enjoyable. So even to the same person, different books strike you different ways at different times. That's so true Carrie! I love a great page turner but my favourite author Charles Martin writes slow, captivating and beautiful stories. You can't read his books in a hurry, they have to be savored! But sometimes I want a quick, but also great read. Thanks for dropping by and your comments. I would've been to comment earlier except I've been without internet connection as we've been moving house. I almost put Anne of Green Gables and all of LM Montgomery's other books too and if I'd been asked to list 6, I surely would have. They are awesome. Now I'll have to check out Carrie's other picks as they sound great. Hi Paula, hope the move is going well! We're thinking of you! I've read one Laura Frantz book Paula, The Colonel's Lady and it was great! A very beautiful book on so many levels! Hope your move has gone smoothly Paula! PS I'm still without internet. Just visiting friends and libraries. I'll try to pop back in a few days.